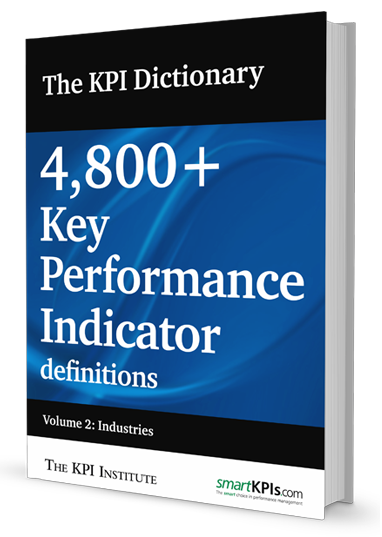 The KPI Dictionary - Volume 2 is a reference collection of Key Performance Indicators, used in practice today throughout a large number of industries such as Finance, Healthcare and Utilities. Containing over 4800 KPIs, with definitions and relevant documentation fields, the volume is a unique, highly valuable resource for professionals, practitioners, consultants, researchers, managers and academicians worldwide, being a useful tool in the performance measurement and management process. "I am very pleased with the Top 25 Human resources KPIs report. The KPIs help me in my daily work. I use the recommended KPIs in my work as a human resource consultant too. My clients are very satisfied." For more information about training course visit our page. Find out more!